40 in. x 50 in. 72 in. x 48 in. 60 in. x 60 in. 33 in. x 72 in. 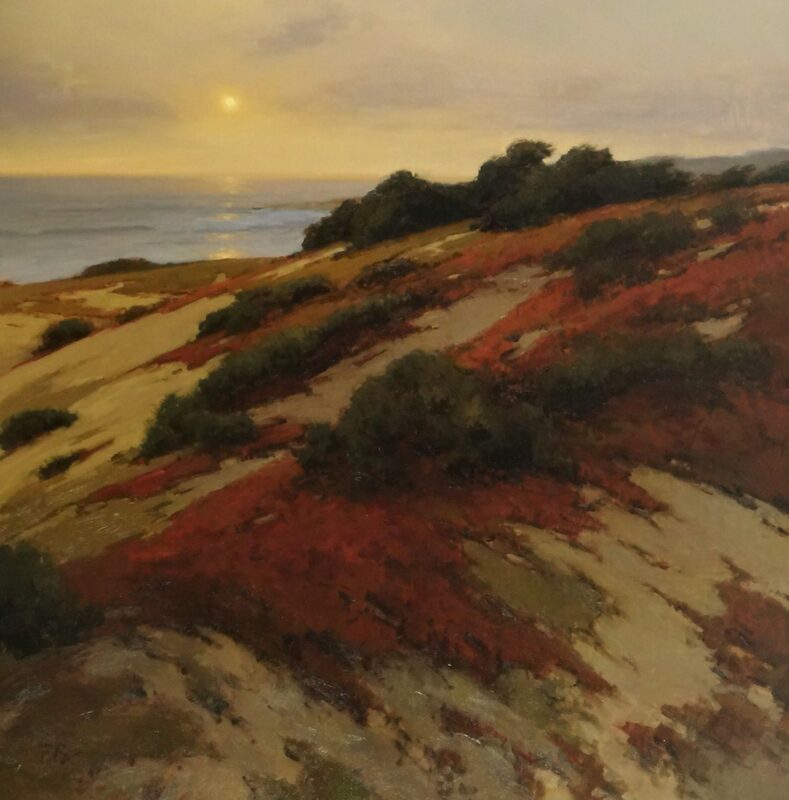 This Group Exhibition spotlights successions of dream like images, ideas, emotions, and sensations based on Contemporary California Landscape by six Bay Area Artists. They are; John Wood, Carolyn Meyer, Brian Blood, Matthew Frederick, Gioi Tran and Donna McGinnis. 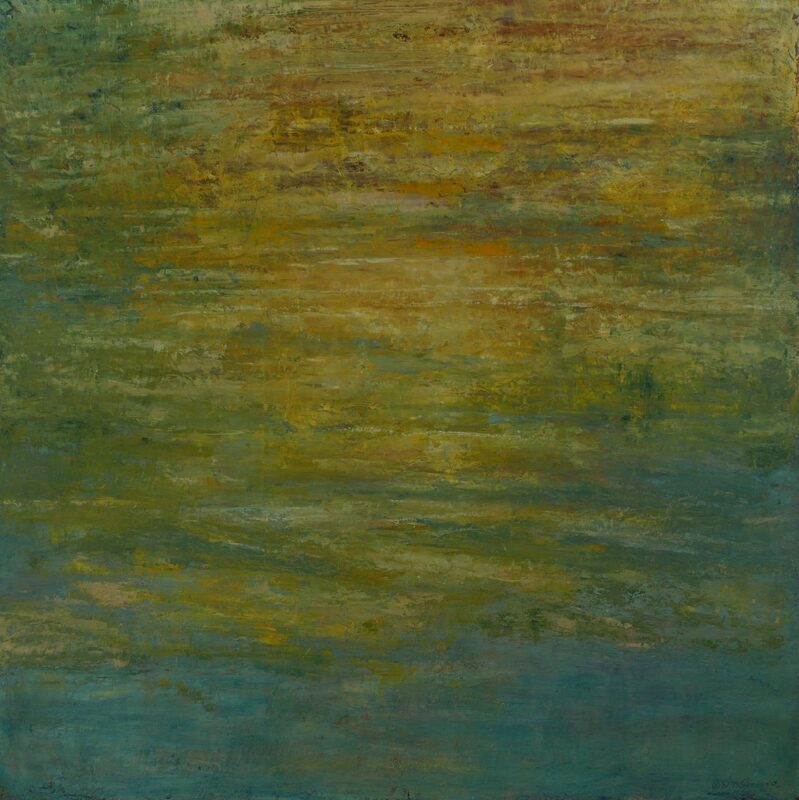 Select works by John Wood are from The Lake – a transitional series of new paintings. 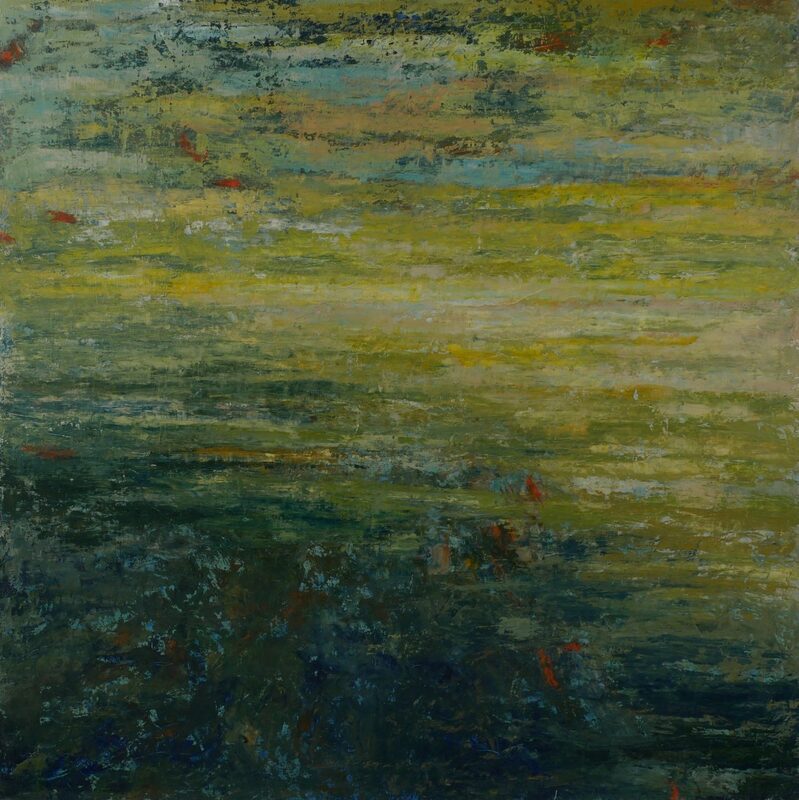 This work was inspired by three weeks of solitude at The Lake, The Morris Graves Foundation Compound, just south of Eureka, in late Summer, 2015. Here, a 380-acre tract of virgin forest surrounding a five-acre lake became the artist’s muse. 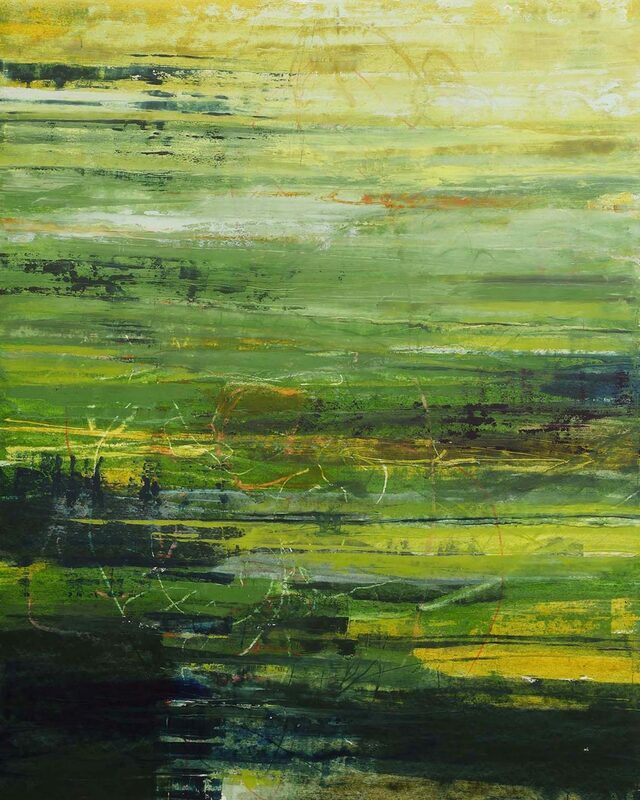 Carolyn Meyer diverts from her energized cityscapes and takes to the coastlines of San Francisco and Stinson Beach. 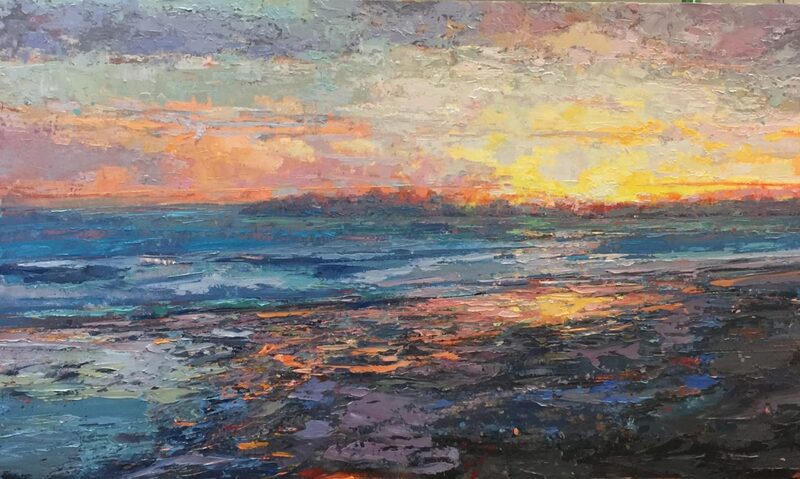 Contrasting the coolness of the water are the rich, almost intense colors and tactile textures – palette knife trademarks of this fearless painter. 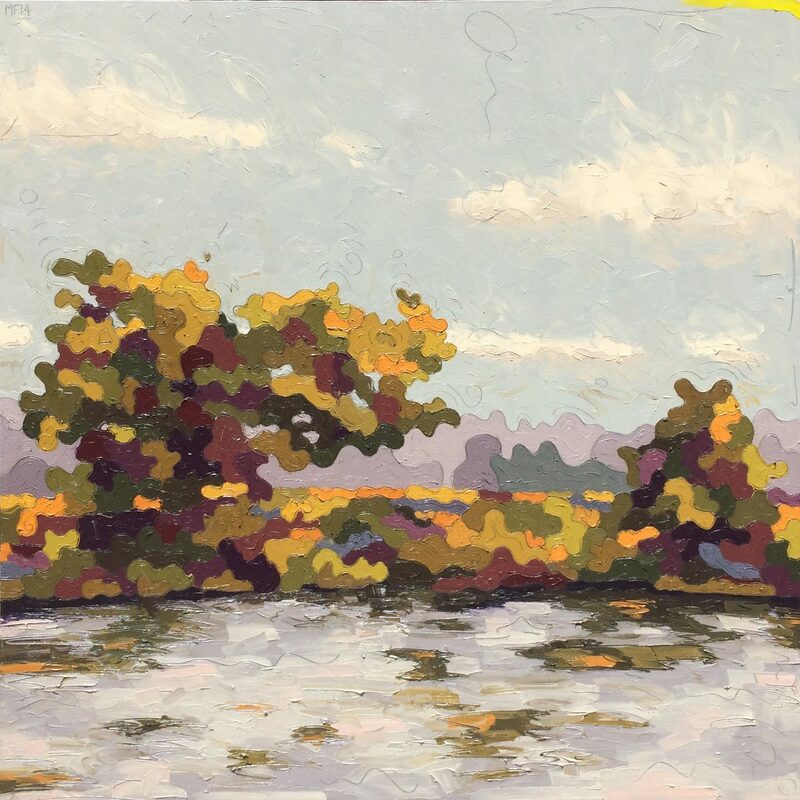 Primarily a plein-air painter, Brian Blood focuses on Northern California landscape, and creates hundreds of studies observing the ever changing light of day. He transforms these studies into large scale, contemporary impressions capturing the all of the magic spanning from sunrise to twilight. Matthew Frederick presents an unconventional and amusing spin on the genre of landscape painting. 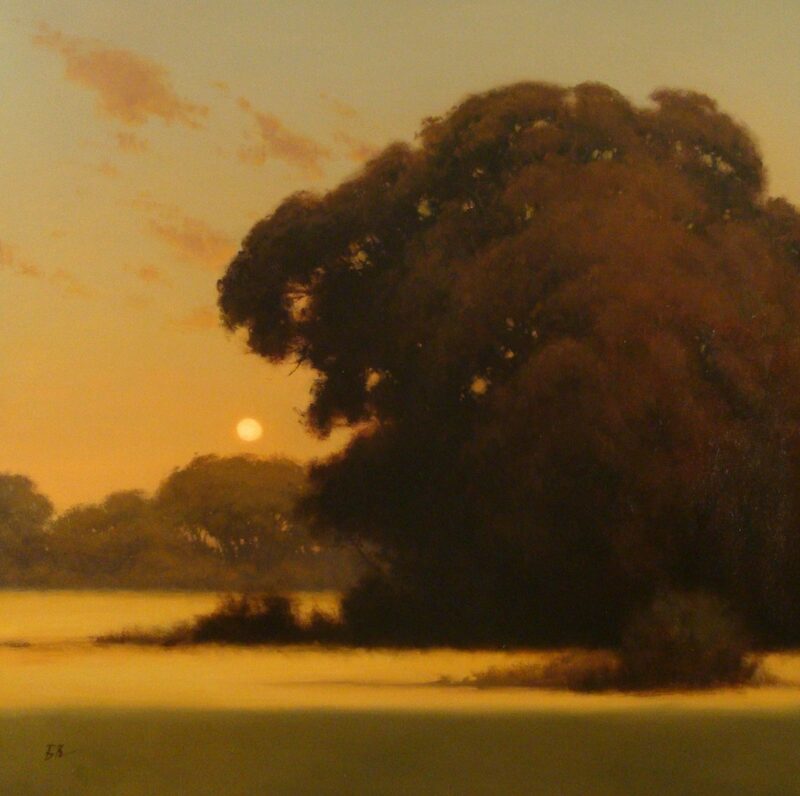 Inspired by his life amid Northern California’s scenic countryside, Frederick looks within the landscape to capture and exaggerate the whimsical shadows and shapes cast from surging hills, majestic oak trees and gaping valleys. Fredericks style is characterized by the careful balance of structure, color, lighting and mood. 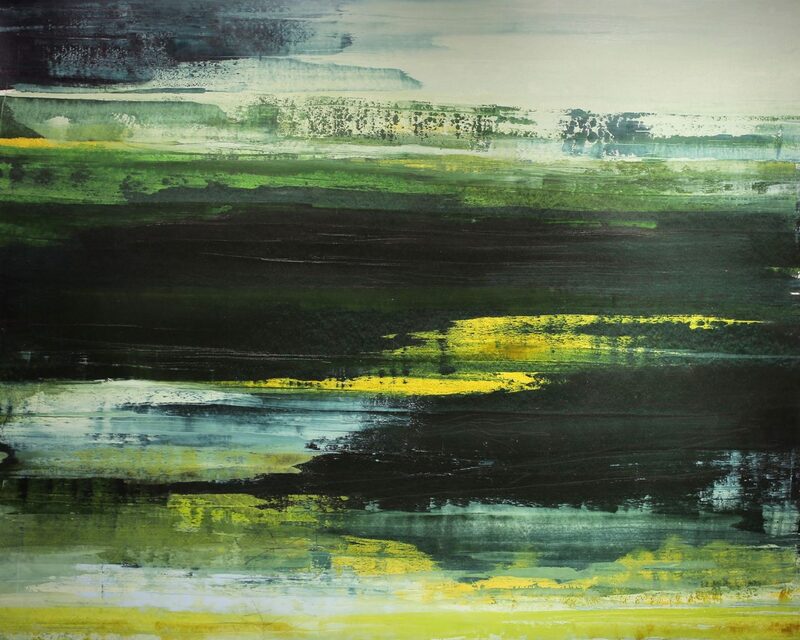 His compositions are rendered with a resplendent color palette of generous applications of paint and undulating brushwork, lending to a compelling emulation of the patterns and sensations inherent in nature.